The power of three. Pioneering a new level of interaction, the intuitive touchscreen interface with a landscape format hosts multiple avionics functions with just a touch. 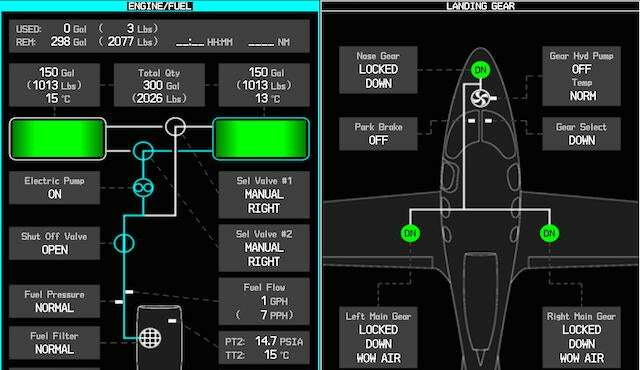 Shallow menus allow aircraft systems monitoring, radio tuning, flight planning, PFD/MFD navigation and transponder inputs to be selected from the dedicated touchscreen icon. 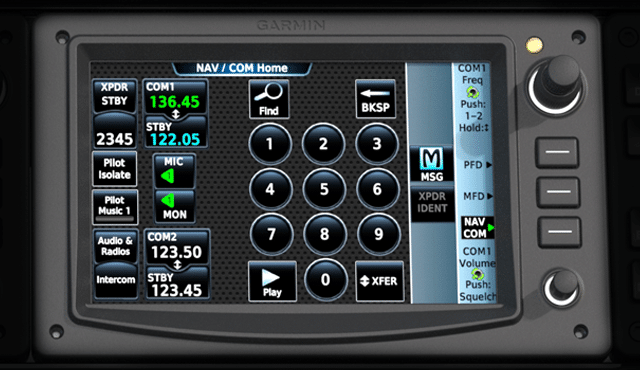 The three touchscreen controllers can be rotated between PFD, MFD and NAV/COM dedication with a soft-key command. The leftmost touchscreen controller also doubles as a standby display in reversionary mode, providing a large backup instrument directly in front of the pilot. Instilling confidence with just a glance. 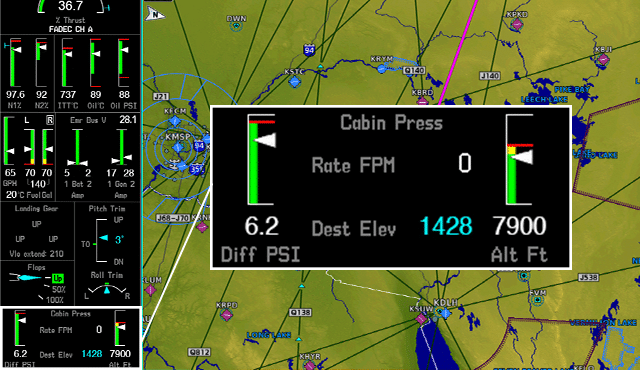 Utilizing split screen technology, multiple aircraft systems can be displayed graphically on both the PFD and MFD screens. The dedicated pages allow the pilot to easily monitor aircraft systems, moving maps and weather avoidance in various split screen configurations. Dedicated synoptics such as: Engine & Fuel, Electrical Power, Environmental, Ice Protection, Landing Gear, General Status/Information and more. Dedication to communication. The first cockpit to introduce a third controller solely dedicated to the most frequently used cockpit components. NAV/COM functions as well as transponder inputs, ATC playback and multiple audio isolation options all have their own footprint in the cockpit. This allows quick data input without interrupting cockpit flow during flight. How low can you go? 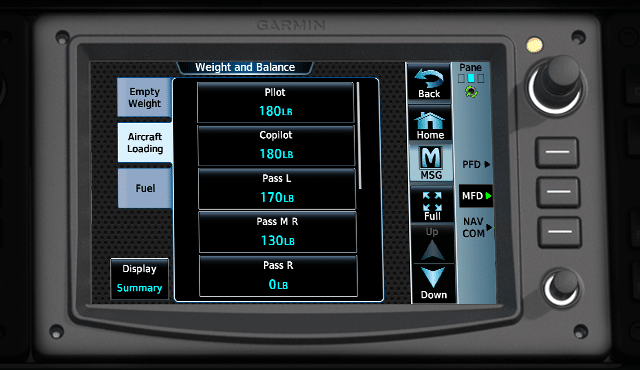 Displayed on the widest PFD display in general aviation, terrain and obstacle avoidance, regardless of in-flight visibility, is possible with Garmin’s SVT™ (Synthetic Vision Technology). SVT seamlessly blends information about the aircraft’s position with topographic databases to create and display real-time 3D images. 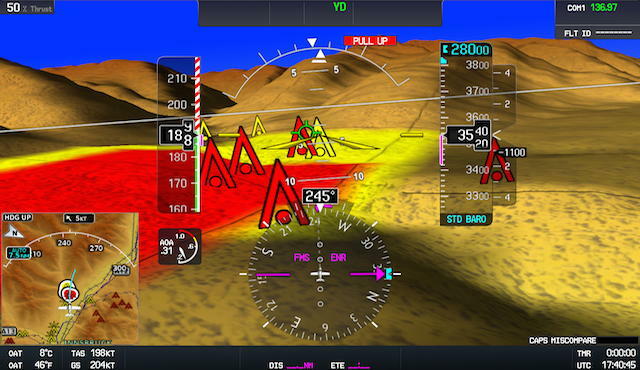 The terrain feature also warns the pilot of numerous hazards including premature and excessive rates of descent as well as negative climb rate or altitude loss after takeoff. Breathe easy up to 28,000 ft. The Perspective Touch automatically adjusts the cabin pressurization during takeoff, climb, cruise, and descent in the Vision SF50. Automated outflow valves maintain an appropriate pressure differential and destination field elevation is also populated from the flight plan or entered manually by the pilot. We’ve got you covered. This high performance traffic system scans distances of 80nm and detects up to 75 targets in 10,000-foot vertical separation. The added course trend vectors help identify and track specific aircraft flight trajectories with much greater precision while safety measures such as ATC-like aural alerts (“Traffic, Three o’clock, Same Altitude, Two Miles”) allow the pilot to keep heads-up scanning for traffic in congested areas. Paint the sky. The real-time Weather Radar scans both vertically and horizontally to give the pilot an immediate and precise weather avoidance tool. Advanced solid-state transmitter technology makes storm tops and gradients easy to identify while altitude compensated tilt (ACT) automatically adjusts the beam angle as altitude changes, helping to reduce pilot workload. Plus, Weather Attenuated Color Highlight (WATCH™) can identify areas beyond the radar’s capability that may contain even more hazardous areas of precipitation. Additionally, when cross-referenced with global data-link weather on the moving map, the pilot benefits from a composite view of evolving weather conditions both near and far. Center of gravity. The Weight and Balance page makes every input easy and accurate. Every gallon of fuel, seat occupied and bag stowed is accounted for in the center of gravity calculation. This data can also be transferred to the split screen multi-function window (MFW) on either the PFD or MFD and displayed graphically. Single thrust lever operation. The Williams International Dual Channel FADEC system is the most advanced and sophisticated engine power management unit in the industry. FADEC translates the thrust lever movement into engine power changes while regulating the fuel flow automatically at any given altitude. The percentage power is displayed at the top of the double-wide Engine Indication System (EIS) strip which is always displayed in any phase of flight. FADEC also provides certain automatic engine protections during start sequence and reduces the stress workload on the pilot. Double duty. 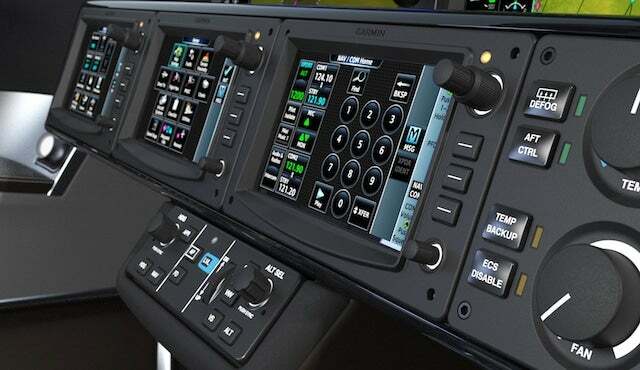 A touchscreen controller designed to automatically backup the PFD during an unlikely failure, the attitude and air data sensors combine to display crucial back-up attitude information directly in front of the pilot. In addition to standby flight attitude information, airspeed, and barometric altitude are also shown on the leftmost touchscreen display. Do you know how much runway is remaining? Is that strip of pavement the taxiway? Perspective Touch dynamically transforms your situational awareness both in the air and on the ground as the aircraft enters and moves through the airport environment. Alerts include: Approaching Taxiway/Runaway, Taxiway Takeoff, Runway Too Short and/or Check Runway. Pan and zoom. 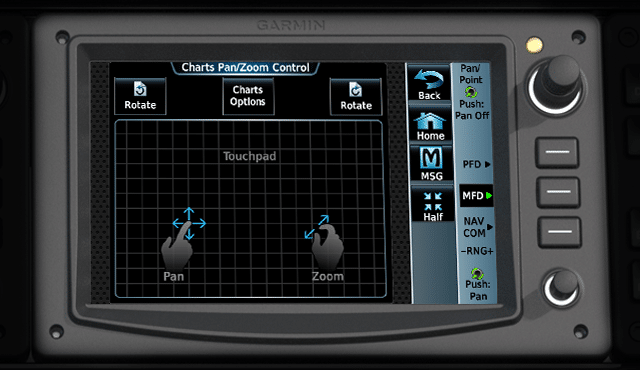 A pop-up touchpad page on the touchscreen controller gives pilots control of the map pointer on the MFD’s moving map, allowing for faster and easier identification of airspace and airport information. 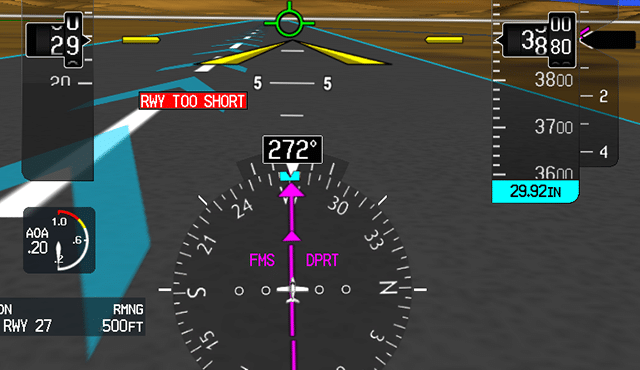 Simple finger gestures control the cursor and map view while the “Home” and “Back” icons ensure perfect navigation through every phase of flight. A wealth of knowledge is literally at your fingertips. Aircraft documents like the Aircraft Flight Manual (AFM) and Pilot Information Manual (PIM) can be uploaded and stored electronically in Perspective Touch memory. Additional documents can also be viewed from a user’s memory card for simple viewing reference. Checklist complete. 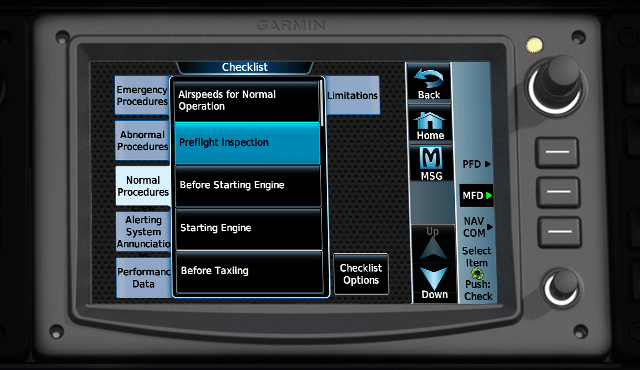 Navigate through your checklists and view them on either the PFD or MFD in split or full screen layout. Each Vision SF50 electronic checklist has been cataloged including normal, abnormal and emergency items as well as certain performance data references. Know what is outside the aircraft, even in the dark of night. Using fusion technology that combines both visible and infrared light, EVS outlines terrain features, landmarks, cloud buildups – even ground objects such as parked aircraft, animals or personnel – on the PFD or MFD. A heated lens ensures a clear, unobstructed eye on the weather. Precise speed control in all conditions. 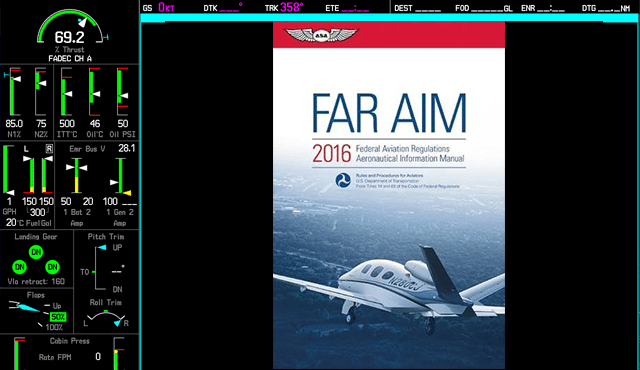 The angle of attack (AOA) system provides accurate, real-time measurement of wing performance and delivers stall margin indications to the pilot both audibly and visually. ESP is an innovative new technology that addresses both prevention and recovery. ESP passively and unobtrusively corrects unusual flight attitude, assisting without distracting from the flying quality or enjoyment of the flight experience. How much fuel will be remaining on arrival. This information is always shown, regardless of screen selection or what your next waypoint is. Always know where you will reach your desired altitude. 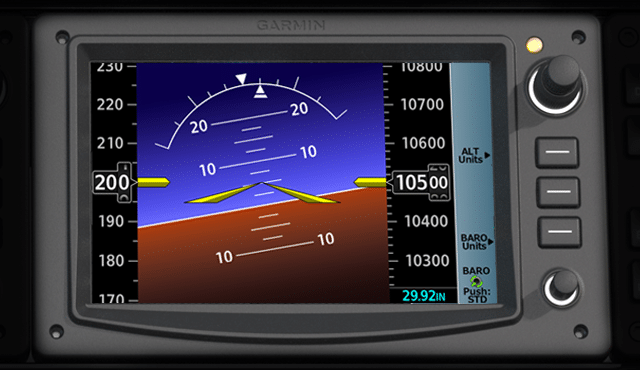 The cyan bar clearly labels on the MFD moving map where you desired altitude will be reached so you can adjust your descent or climb accordingly. Your approach plates, departure procedures and arrival procedures are all stored electronically. No more flipping through binders of paper charts, just pick your airport and chart needed and it’s displayed on both your PFD and MFD. Fly in confidence knowing that the autopilot will not stall the aircraft when engaged. The digital autopilot and angle of attack unit are closely integrated into the aircraft controls. When you are approaching a stall, the side yoke will shake and then push forward to prevent the aircraft from entering a stalled condition. An active safety feature that gives you a time out if momentarily distracted or disorientated. One push of the Blue LVL Button will tell the autopilot to bring the aircraft to straight and level flight giving you valuable time to think before deciding the next safe flying steps. Dual AHRS (Attitude and Heading Reference System), dual Air Data Computers and dual Pitot Static probes add a second layer of protection. 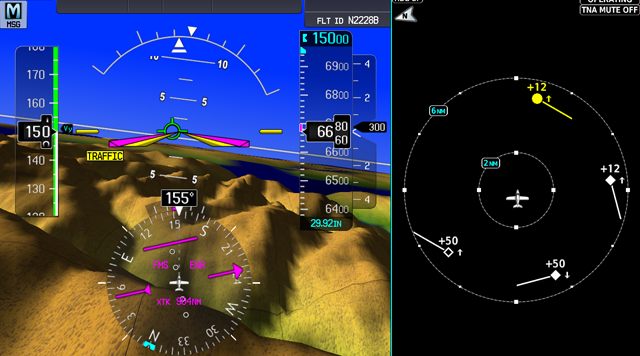 A single failure of any component will not disable the PFD and autopilot at the same time. Autopilot coupled go-around makes the missed approach, one of the most demanding phases of flight, easier. The autopilot remains connected and the aircraft automatically pitches up to a normal climb attitude and the missed approach segment is automatically activated. 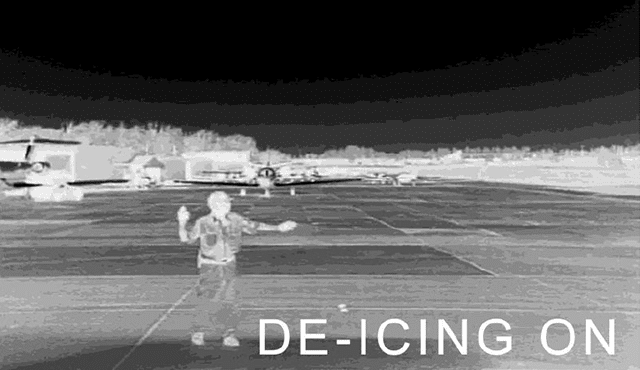 All you have to do is monitor and apply thrust as necessary. Changing headings and altitudes during flight has never been easier. These heavily used controls fall close to hand. No need to reach up above the displays to change some of the most used controls. *Suggested applications may require optional equipment, sold separately. Images shown above are preliminary and may not be representative of final product. Digital Pressurization and FADEC images have been enlarged for ease of viewing and do not reflect software functions.